THE MIDLANDS – BIRMINGHAM,LEICESTERSHIRE, NOTTINGHAMSHIRE, SUTTON COLDFIELD, HINKLEY, ROYAL LEAMINGTON SPA, REDDITCH, BIRMINGHAM, RUGBY, LEICESTER, LOUGHBOROUGH, CANOCK, TELFORD & SURROUNDING COUNTIES. 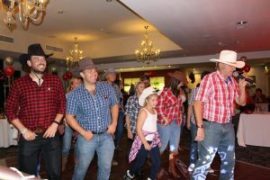 We have organised a vast amount of Corporate & Large private RODEO BULL HIRE PARTIES & WILD WEST PARTIES in London, Kent, Surrey, Essex and Nationwide so can help you with the successful planing of your special day. 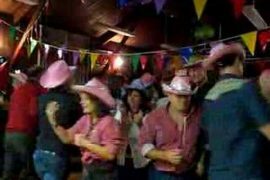 To complement the Rodeo Bull/ Bucking Bull we have a selection of Wild West Party Props and Games- Cork Shooting Gallery, various other Wild West Side Stalls, Horse Shoe Throw, Cactus Hoopla Game + Hang Mans Noose, 20ft Western Theme Backdrops, and various Packages for hire that will impress your guests and make your party a success. 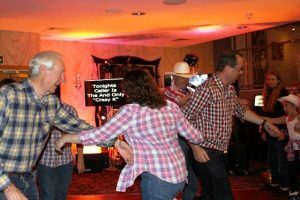 We have covered parties throughout the uk including hiring the Rodeo Bull & Surf Simulator in London to Bucking Bronco Hire and Wild West Party Hire in Surrey, Kent & Essex. As we are getting close to Xmas so why not hire the impressive RODEO REINDEER HIRE. The bucking Reindeer works exactly the same as the RODEO BULL HIRE and Bucking Bronco Spinning and Bucking till the Rodeo Rider is thrown onto the Impressive Xmas Blow up Bed. 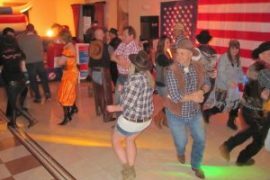 So how much is the Mechanical Bull or a Wild West Party Package to hire- We Cater for a Variation of Party Packages from just the Buckaroo on his own to a Large Western Themed Party with Props Hire, Country Music, Instructed Line/ Barn Dancing and a Wild West Disco maybe to finish off. We are happy to answer any questions you may have 7 days a week so please feel free to ring or e-mail us any time. The equipment we provide is always in fantastic condition, upmarket and clean and the Operator is always smartly dressed to Impress. Are Other Entertainment quotes needed (e.g RODEO BULL, SHOOTING GALLERY, SIDE STALLS, WESTERN PROPS, FUN CASINOS (ROULETTE OR BLACKJACK) OR DJ)?